A Better Reality is what we all look for. Our wishes, dreams, desires, aspirations and anything else that, we think, would make us feel good, they all are representations of an intangible realm that we would all like to have. These days, we talk a lot about Virtual “Reality” and Augmented “Reality. In a sense, the terms are becoming somewhat interchangeable, although the initial definitions had a more strict description. I almost dare to suggest the term i-Reality (Improved Reality), to include the former two, and refer to a real world that includes improved, enhanced and digitally created features that, for a particular occasion (i.e. a medical act), would offer an advantage. 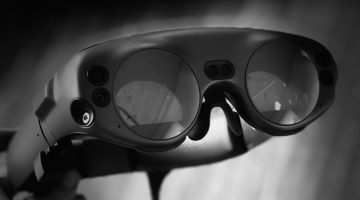 There have been excellent recent posts in regards to the applications of Augmented Reality (AR) and Virtual Reality (VR) in Healthcare and Medical education. I fully agree with the argument that these two have an incredible potential in many fields, including medicine. 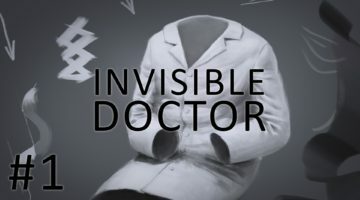 In addition to what have been said and written, and being a full-time surgeon, clinician and Healthcare Futurist, I’m really excited about a vision of i-Reality that helps us bridge the gap between the high (and growing) demand for medical providers and the low (and shrinking) supply of them. Without going in too much detail, the deficit of physicians in the USA is predicted to be greater than 100,000 by the year 2025. The current estimated worldwide deficit surpasses 4.3 Million, according to the WHO (World Health Organization). In the USA, new legislation and planned proposals will only add more patients to the system along with a decrease the number of medical students and residents (post- medical school trainees) available to take care of them. If we also consider the fact that a large proportion of the provider-patient interactions DO NOT require physical presence, then it should be easy to understand what I will mention next. Imagine having digital “avatars” of providers that could interact with the patient and at least get from them most of the information that does not require “touch”, mainly medical history details. I would envision the avatar having AI and Deep-learning capabilities, so that the interview would not only be interactive but also “intelligently” driven. Bypassing limitations of provider availability, time and geography or distance, the advantages would be obvious, regarding efficiency, satisfaction, and cost . The healthcare delivery person wearing a head-mounted device that would “read/detect” and create an enhanced version of the patient, with medical data streamed by wearables on the patient and whose input is translated, and even analysed by the provider’s device. There could be detecting of patients vital signs, oxygen saturation, possibly chemical analysis, etc.”Reading” QR codes (epidermal impressions/tatoos) on the patient could allow access to the EMR. Facial recognition, “mood” detection, measuring of body segments (to 3D print parts, casts, prosthesis, etc.) are just some of the possibilities that come to mind. It all might look like science fiction, but it is not. It is intuitive. We already have the technology and capabilities to create such a system, and to make it functional very soon. It does require one to be bold, to embrace innovation. It is not about the technology, but about the idea behind the use of that technology where the genius resides, VIRTUALLY. Thanks for another insightful blog post! Excellent post. 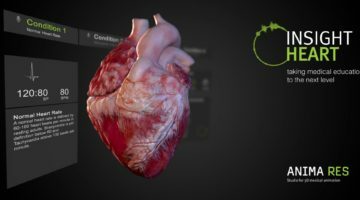 Augmented reality and virtual reality are becoming a part of our everyday life and especially in medical field and are also excellent for teaching and bringing expertise to other places. Surgeons in the operating theatre use a platform called Proximie, which allows another surgeon to assist in the operation remotely.The name i-reality is awesome in the sense of your insight. Thanks for sharing this post.